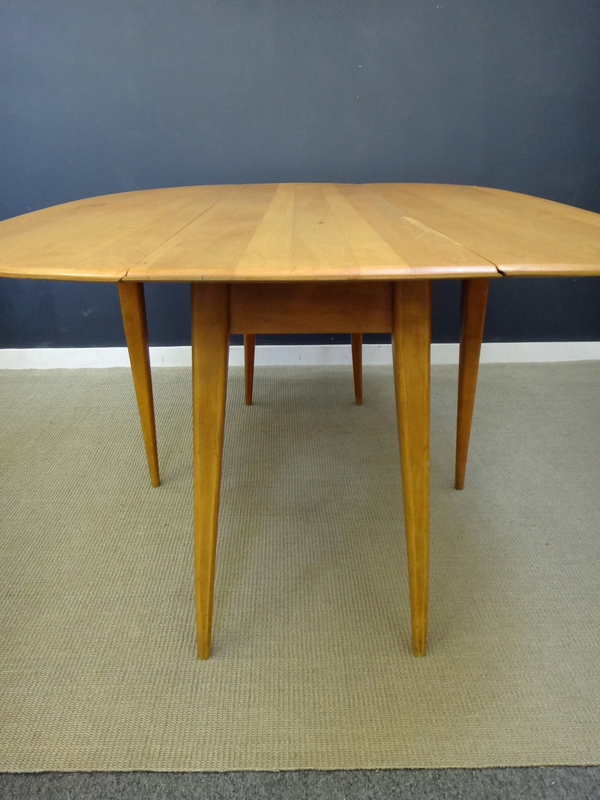 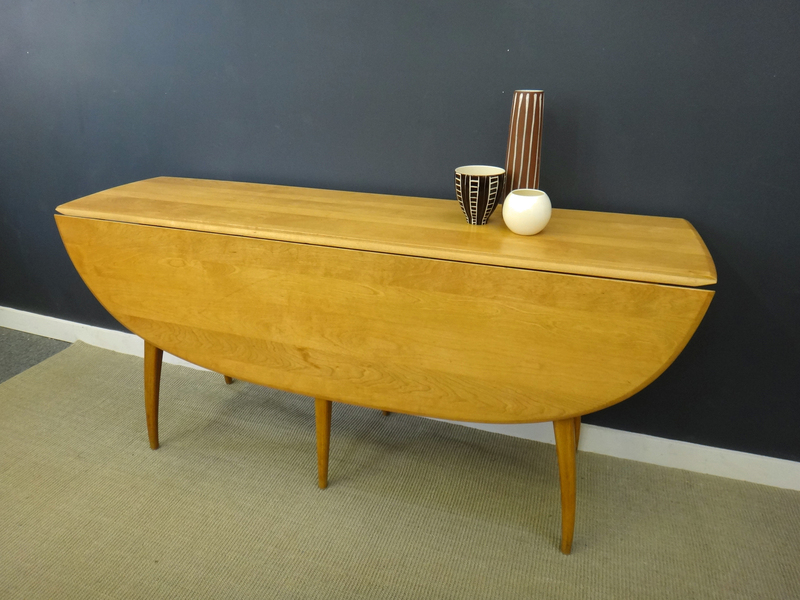 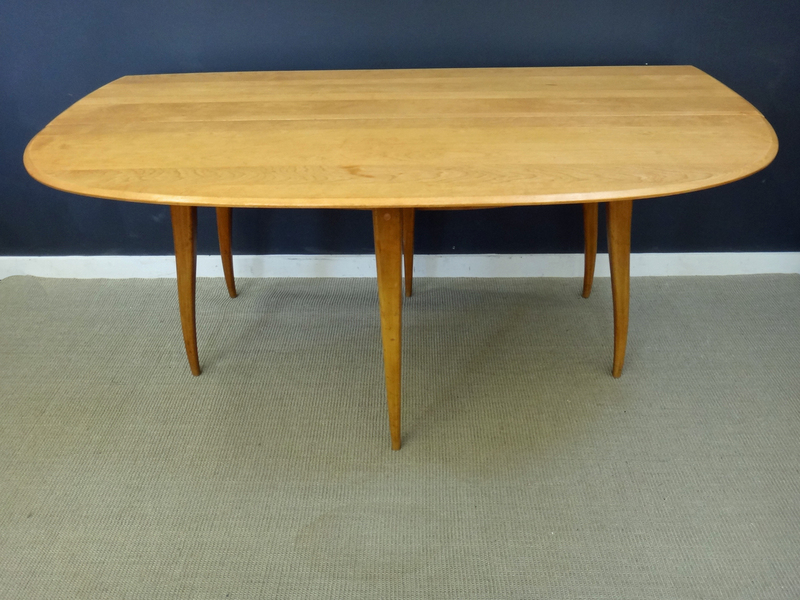 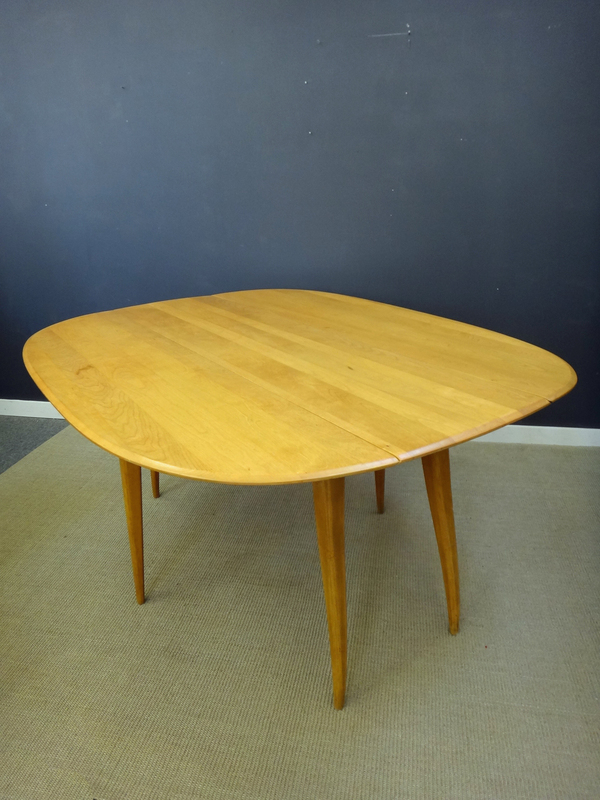 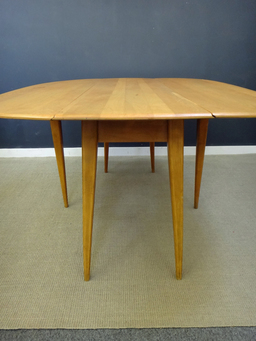 This unusual Heywood Wakefield solid maple table features two drop leaves. 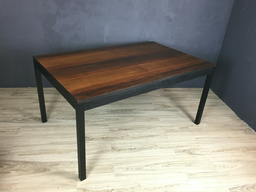 When closed, the table has a very slender profile – excellent for apartment living. 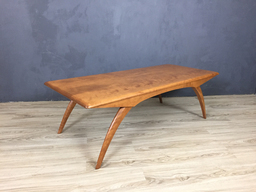 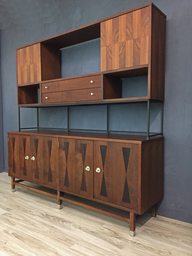 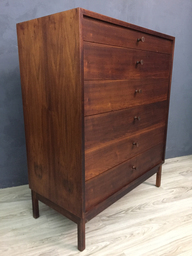 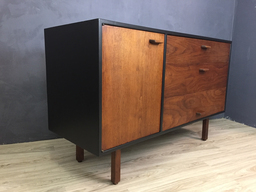 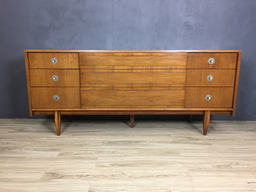 Would also make a great console table behind a sofa. 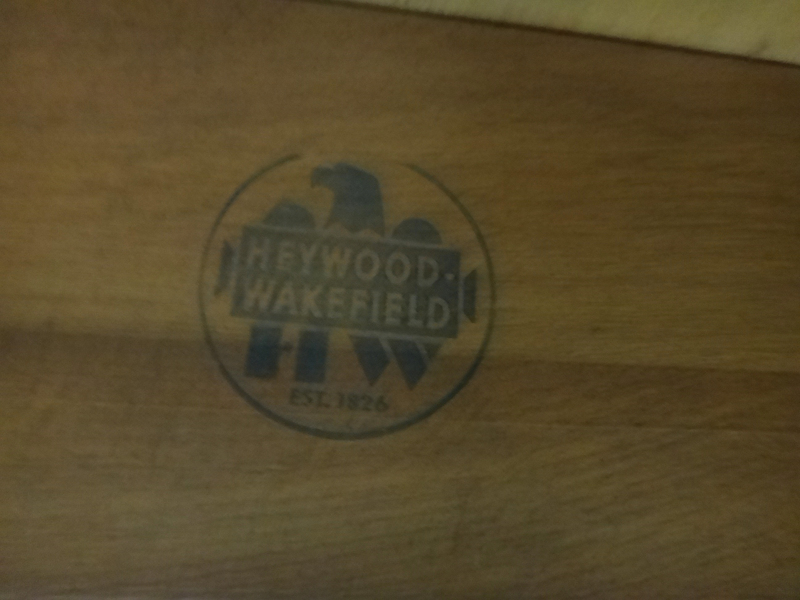 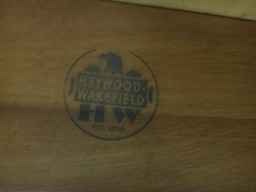 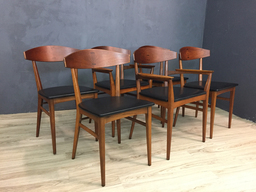 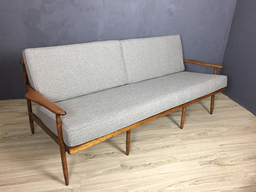 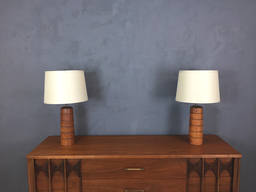 In classic Heywood Wakefield tradition, the legs have a gentle and elegant curve. 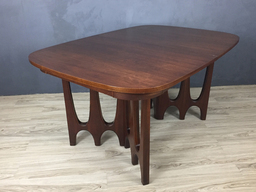 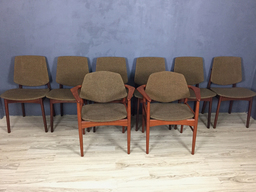 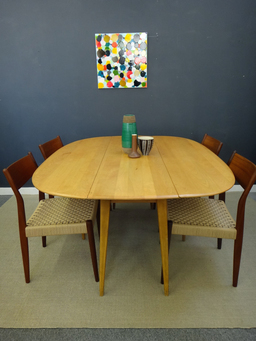 When extended the table has a lovely oval shape that can seat four to six. 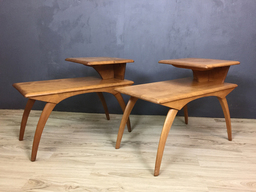 The legs pull out easily to support the leaves. 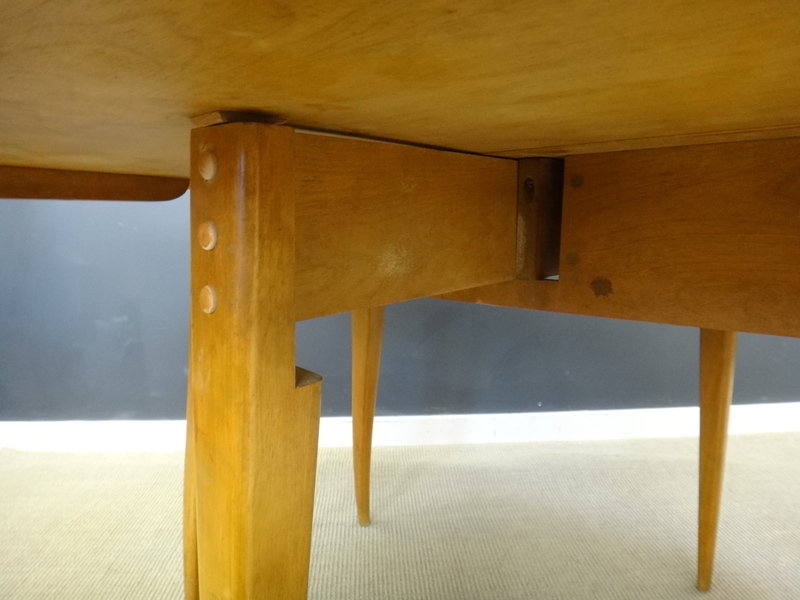 Extremely sturdy construction. 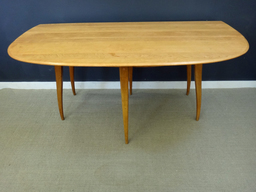 We refinished the top and sealed it for protection making it perfect for dining. 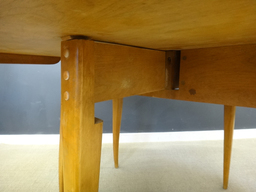 In excellent condition with one small stain on surface.